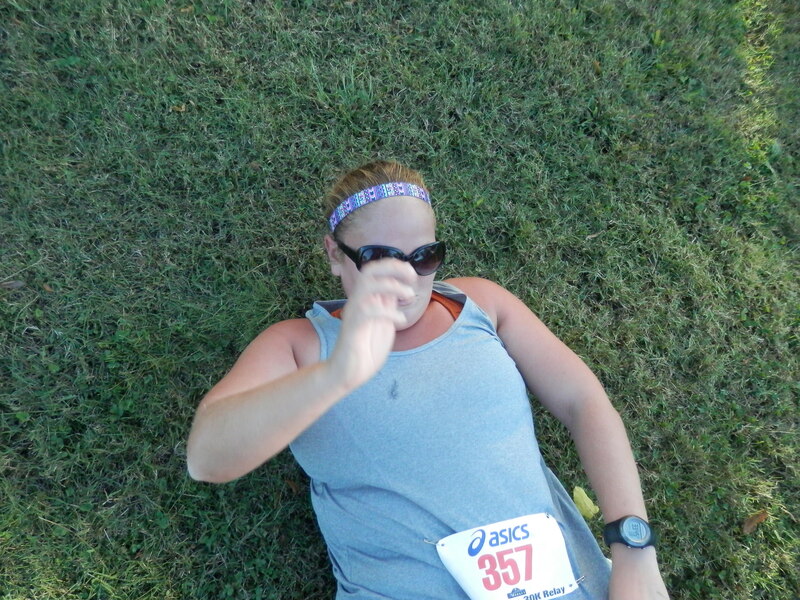 2013 has just not been my year for running. Call it laziness, lack of motivation, or just burnout. Either way I just haven’t had the ability to really enhance my running. But at the beginning of the year I made the goal of running a minimum of one race per month. Since most of my graduate classes are on various Saturdays it was really hard for me to find an October race that fit into my schedule. I finally found one that was not only on a Sunday (perfect since Saturdays are a no-go) but it was in the afternoon. If you know me you know I love running in the afternoon or the later evening, NOT in the morning. What a win-win. I ran once last week and walked a few times but other than that I haven’t consistently ran in a few weeks. Before the race, my Daddy asked what my goals for the race were and I obviously responded “not to be last and not to die”. He must be so proud of the high standards I set for myself. Anywho, the race began in a church parking lot and was super small and local. Big plus about it being in that location was unlimited indoor bathrooms. Score! To be quite honest, I was slightly terrified before the gun went off. I knew it was going to end on a massive uphill and was going to be ran along the rolling greenway. Add this to no training and a belly full of southern Baptist cuisine, I was overcome with anxiety. it was all smiles and giggles pre-race. Once the race started I just told myself to make it to the first mile. Run my own race and keep my own pace. I rarely looked down at my watch, but when I did I was close to the mile mark. The greenway wasn’t really congested but there were a lot of non-racers on bicycles out enjoying the weather and they were rather rude. But I reminded myself that they had just as much right to be out there. My Garmin beeped at the one mile mark and I looked down to see a 10:50 mile. Not bad at all. I made a short goal to make it to the 16 minute mark. Crushed that goal and kept on going. At one point I did start to wonder why the front of the pack had not come back by us yet but then I realized the course made a big loop back to the greenway to eliminate course congestion which was not only a great idea to get rid of big pile-ups but running through a neighborhood was a nice change of scenery. I started to struggle around the 1.75 mile mark but just kept pushing. Several people were walking and I just kept reminding myself to run my own race. Garmin beeped at the 2 mile mark and I was under 22 minutes. I can’t tell you how happy this made me. Just the fact that I had ran with no walk breaks for 2 miles made me happy and that I could squeak by at a sub-11 minute pace made me even happier. After the 2 mile mark I came upon a lovely gentleman who would walk then explosively run and then return to a walk. I passed him, he passed me, I passed him, he passed me. This literally continued to where I passed him over 10 times and then I stopped counting. Nothing wrong with doing a run/walk method but I felt super distracted playing cat and mouse. When I passed the 2.75 mark I took a 10 second walk break to prepare myself for the big hill but ended up walking a little bit of the hill also. No shame. That cat and mouse dude ended up passing me on the hill but was super kind and encouraging and pushed me to press on up that beast. TJ was at the top of the hill to be my own personal paparazzi. After finishing I found a fancy patch of grass and promptly laid down. I didn’t necessarily feel sick but was just plain tired. TJ came over to tell me about all the people who had crossed the finish line and all the people who were talking about how horrible it was and all that jazz. Glad I wasn’t the only one who thought it was torture. I spoke with a few runner friends before heading out. The awards weren’t going to be until a later time and my age group was 20-29 which is way too wide to even hope for an award, even at a small race. thanks babe for documenting this moment. I finished in 33:45 which is my second fastest of the year. I know I technically shouldn’t be happy with that time since my goal for this year was to PR the 5k distance and rock out a sub-28 minute race but considering I have not been consistent with my running and had about 3 miles of running over the past 2 weeks then I am super proud of myself for this time and will rejoice that I finished. Yes it was hard and yes I griped and had to continually repeat to myself to keep going during this race, I did keep on going and I finished. All that matters. Period. October race, check. 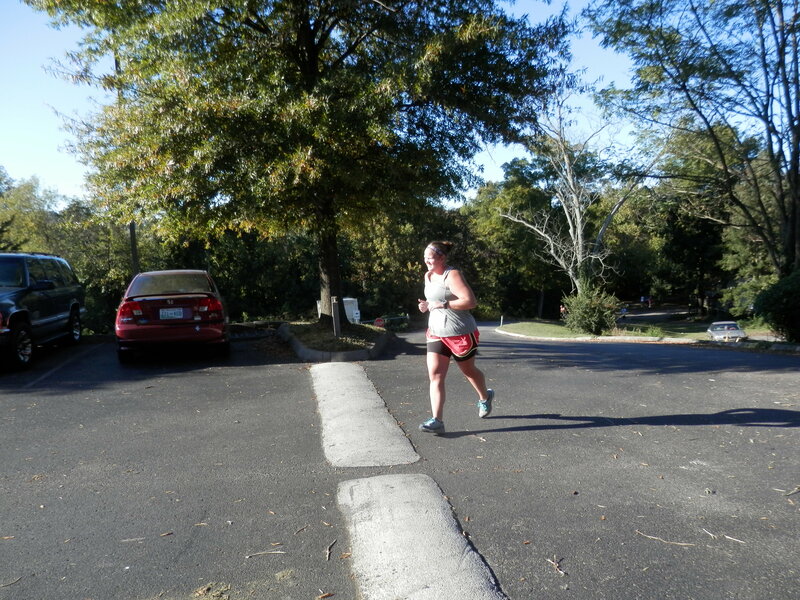 This entry was posted in Race Recaps and tagged hops n hope 5k, love-hate relationship with running, race recap by thegogirlblog. Bookmark the permalink. “I know I technically shouldn’t be happy” BE HAPPY!!! you got out there and did a race!! This is awesome! 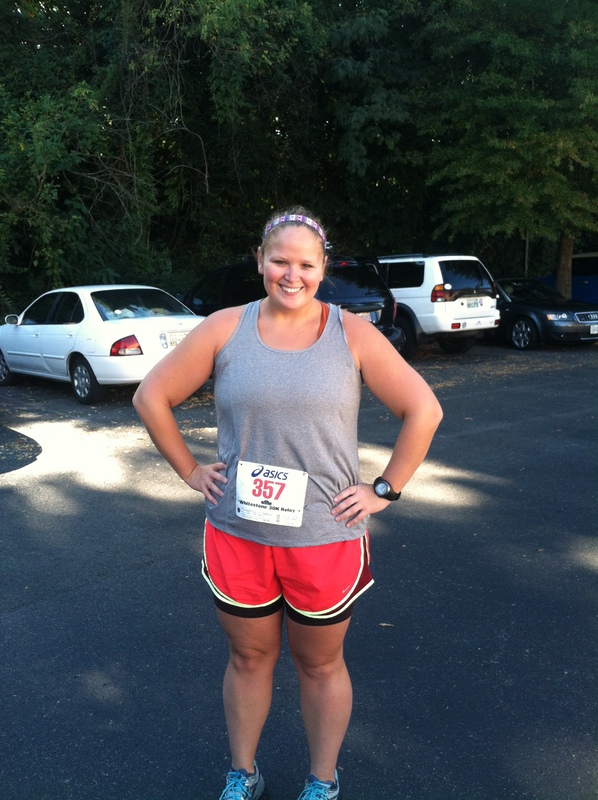 Love that you are running a race each month! Awesome job on the 5k! You did great and you are running and look like you are running in your picture–don’t be too hard on yourself. Great job on running a race to be proud of! Especially because you remembered the most important thing – to run your own race! You did awesome! Be proud! And you are looking great! You did it. When you didn’t want to (based on tweets I remember I think). PROUD OF YOU!! I played the cat and mouse game with a girl that looked to be 10 or 11 at my race yesterday! So annoying. Kids don’t know anything about pacing themselves (at least not the ones I’ve seen), so they do bursts of speed, then walk. I almost slammed into her a few times, because she was all over the place! Hey! You should be happy! You finished that race and came in with a great time! Be proud of your accomplishments, big or small!